Greek firefighters are battling wildfires on the eastern outskirts of Athens, and more fires in the southern Peloponnese peninsula which have forced villagers to flee. The fire outside Athens spread quickly on a hillside and blanketed parts of the city in thick smoke. Separately, several villages were evacuated in the Peloponnese as wildfires burned through rural land. The flames, near the town of Monemvassia, forced one fire-fighting aircraft to make an emergency landing, according to reports. 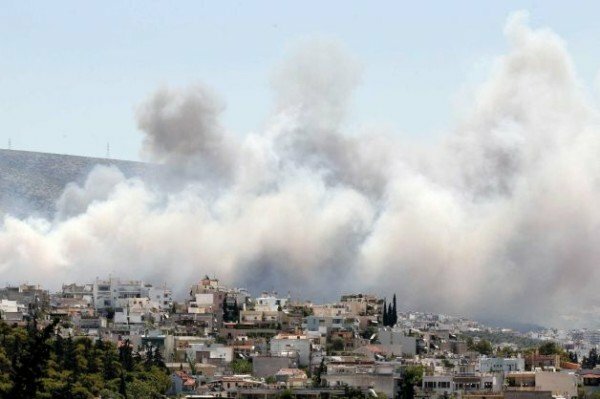 The blaze outside the capital, fanned by strong winds, burned through woodland on Mount Hymettus, forcing some residents to flee their homes, Kathimerini newspaper said.